People often think that living in a park home will cost very little money. Even though there are financial savings to be made, if you are considering moving to one, it is important that you do the maths. Here is a look at the costs involved before you move in and when you live there. If you’ve set the ball rolling and are avidly looking for park homes for sale, make sure that you know your budget and factor in the upfront costs of your purchase. These include the actual cost of the home, a deposit for the plot, all the necessary surveys, solicitor’s fees and moving costs. Once you’ve done your research, found your perfect home and moved in, keep in mind the ongoing costs of your new life. These include pitch fees, utility fees, council tax and the usual maintenance costs associated with any home. There are plenty of park homes out there – check out http://www.parkhomelife.com/ – all with differing price tags depending on location, style and size, just like when buying a more traditional property. 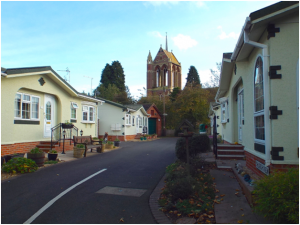 In a nutshell, a park home can cost between £70,000 and £400,000. They don’t hold onto their value, with pre-owned ones going for around the £50,000 mark. It goes without saying that location is king; you are likely to pay much more in the Cotswold or the Lake District. Importantly, you cannot get a mortgage on a park home. 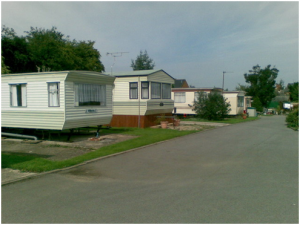 You will need to put down a deposit to reserve your park home, which varies from site to site. These are generally non-refundable. Interestingly, you don’t legally need to have a survey on a park home. However, if you are buying a pre-owned one, it is still a good idea to get one. They generally cost between £250 and £400. Because there is no exchange of deeds or land, you don’t need to instruct a solicitor. Finally, remember that moving fees are £600 on average. Earlier, we discussed the ongoing costs of park home living. These include the monthly cost of renting the land, utility bills and maintenance. It’s worth noting that all park homes are placed under Band A for council tax, the most affordable bracket.